Rio Olympic Games 2016 will begin on August 5, 2016 but the Olympic torch has began it journey today April 21, 2016 from Greece. 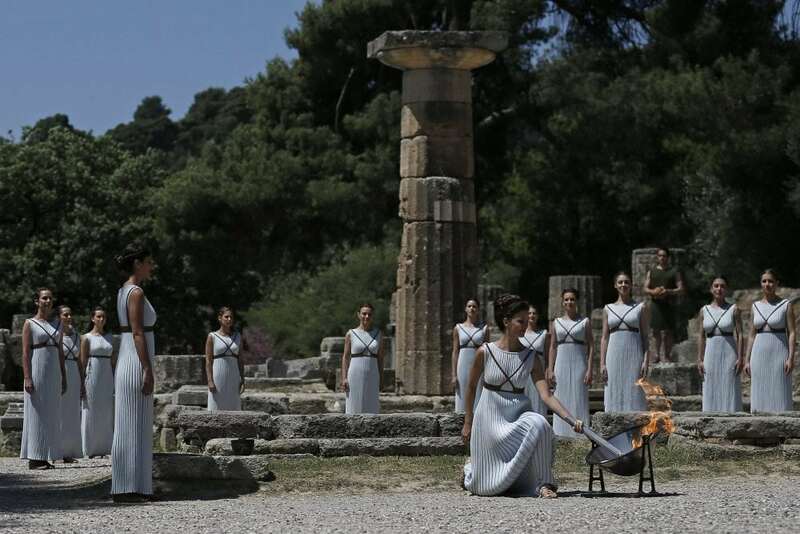 The Olympic torch was lit in southern Greece by Greek actress Katerina Lechou, who performed the role of the high priestess. The torch will travel through Greece, before getting to Brazil on April 27 to begin a 95-day tour, visiting 83 cities, 26 state capitals and 500 towns — reaching an estimated 90% of the population. 12,000 people will carry the flame on its journey to the Maracana Stadium for the Opening Ceremony on August 5.